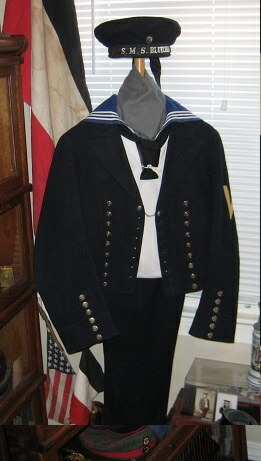 I know we have a couple of members who collect Naval uniforms. I'm trying to find out how senior NCOs were uniformed in the Imperial German Navy? 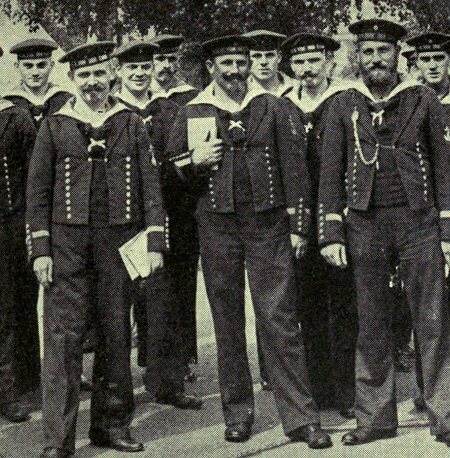 Did they wear a "sailor suit" with the rank on the sleeve or did they wear a distinctive uniform? I can find information on the enlisted ratings and Officers, but on NCOs . The only senior NCO I could was a paymaster and his uniform was "special". Thanks, but that's the site that started me thinking about this. I believe I may have an answer, but need conformation. I don't know if the German Navy had a special uniform for Senior Chief's or Master Chief's. Thank you.This answers my original question. Now for question 2; did they wear the lace on the jumper cuff as well? Funny there is so much information out there about the Army, but so little about the Navy. Did you look to Table-No.29 of the Henkel-Atlas? In acc. to germancolonialuniforms.co.uk the uniform of a Senior-NCO is similar to Vize-Feldwebel or Feldwebel. And on Table 29 of the Henkel-Atlas a Feldwebel wears a sailor-suite with 2 gilt laces on his sleeves, the Vice-Feldwebel got only 1 gilt lace. But after 25 years of service the uniform changed into a frock coat without gilt laces. Unfortunately I can‘t show pictures, because the upload is not working from my tablet But I can send you a PM with the Table if you like. Thank you - I would like a copy of the table. I believe I'm starting to understand their appearance.